John Glenn is a famous Astronaut from USA, he is 97 years old and still alive, born July 18, 1921. 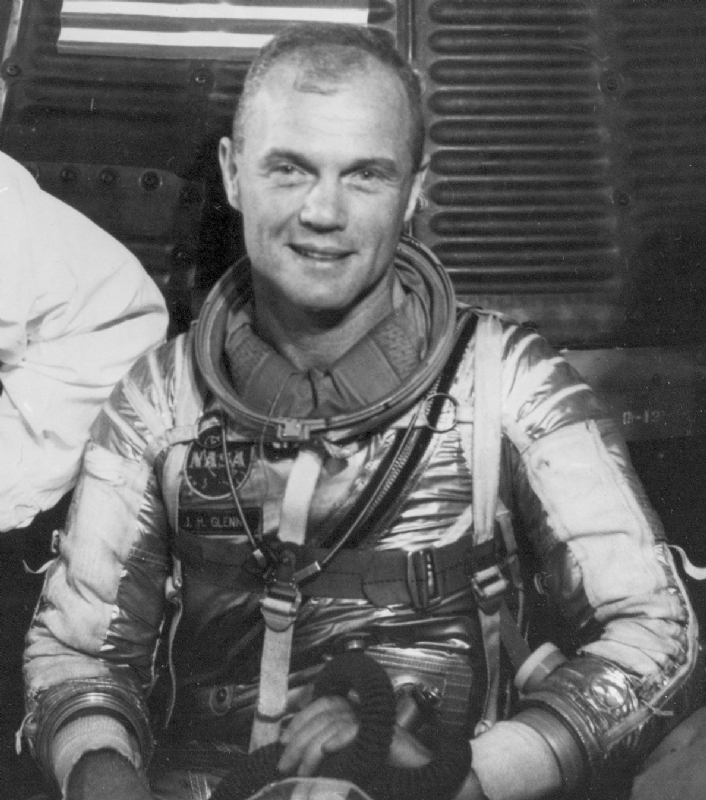 John Herschel Glenn Jr. (born in Cambridge, Ohio) is an American astronaut, fighter pilot, entrepreneur and Democratic Senator (Ohio 1975-1999). 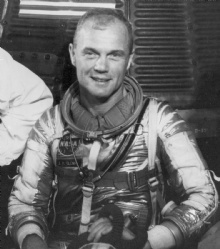 He was the third American in space and the first non-Russian in orbit. It was in the Mercury capsule Friendship 7, became opsent 20th February 1962. He is also the oldest man who has been in the room, when he in 1998 as a 77-year-old was onboard space shuttle Discovery. He is born under the zodiac cancer, who is known for Emotion, Diplomatic, Intensity, Impulsive, Selective. Our collection contains 4 quotes who is written / told by John. "This is a day we have managed to avoid for a quarter of a century"
"The most important thing we can do is inspire young minds and to advance the kind of science, math and technology education that will help youngsters take us to the next phase of space travel"
"I don't know what you could say about a day in which you have seen four beautiful sunsets"